“Who said we had a relationship? What you talkin’ about, Willis? Haha! Nice try girlfriend, but we all already know your secret! 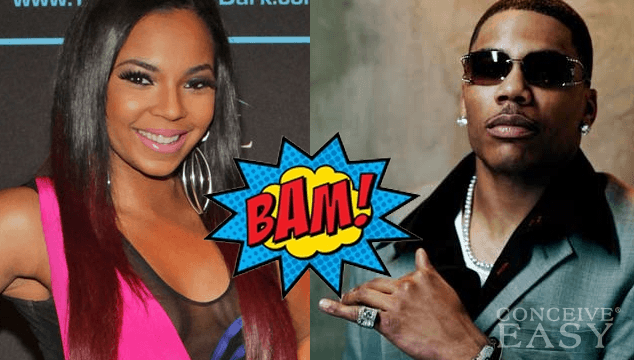 While the rest of us have a pretty good idea, just looking at the recent photos of Nelly and his new gal pal, that his relationship with Ashanti has ended, but she’s not going to confirm it. We saw the pics of Ashanti and Nelly together on the beach, together at the club, together on the red carpet, so we know what’s up. “I think what’s important is to find someone who you have things in common with that can understand. So, whether you have a 9-to-5 or you’re in the industry or you’re into computers, or you’re into doing nails…whatever it is, you find someone that you’re compatible with.” Ashanti told Sway. Good advice, girlfriend! Ashanti is only 32 years old, but the singer/actress is definitely ready to move onto the next stage in her life. She has big plans to have a huge family, so she knows that she better get busy if she wants to reach her family goals! You heard it here first, folks! Miss Ashanti is ready to have some babies! Let’s hope she finds her a good man, and fast! We wish her all the best in her journey to find a good man, and her journey to become a mother!